Today started with an earthquake simulator. We also saw the rift left in the floor of a shopping centre from the last earthquake. 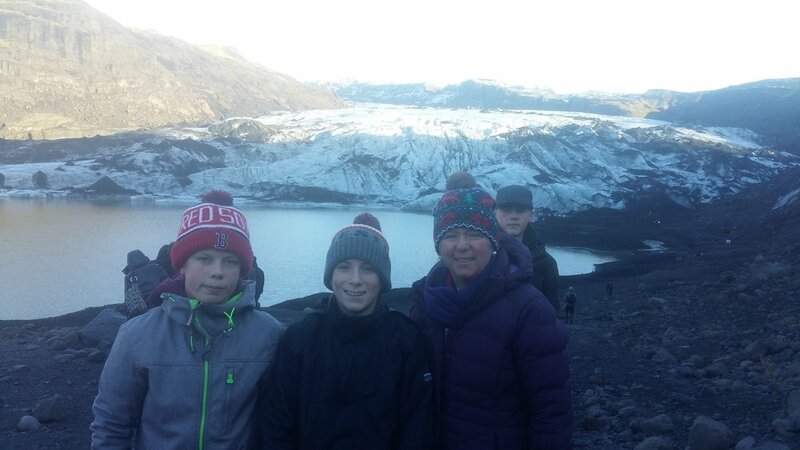 Afterwards we visited a glacier. It has retreated sharply in the past 6 years. Large crevices are visible on it. Parts of the ice are a lovely artic blue. Meltwater from the glacier forms a river that runs beneath it. We had a picnic lunch here at a balmy 0C. 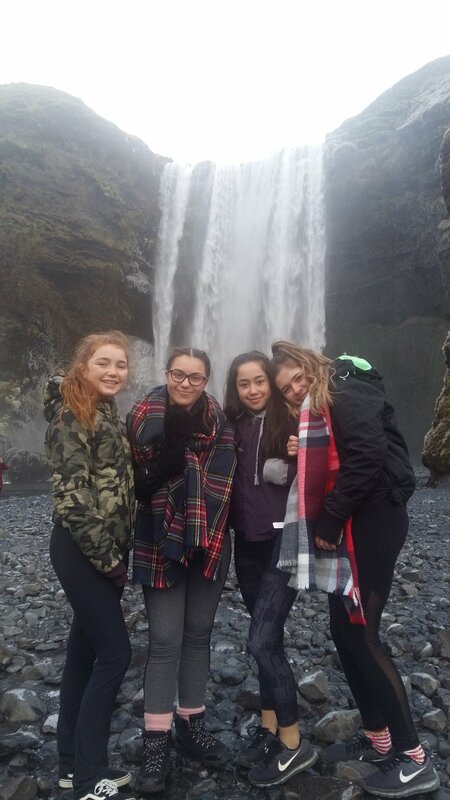 Following lunch we visited the Black Beach with its immense basalt columns similar to the Giants Causeway. The sand is black from volcanic activity. Following on from that we saw two waterfalls one of which we can go behind. Fingers crossed that we'll see the Northern lights tonight. Standing between the North American and a European plates.